ROO Group, a global leader in online video solutions, announced today the launch of its new brand identity to better reflect the company’s updated strategic direction and corporate initiatives. 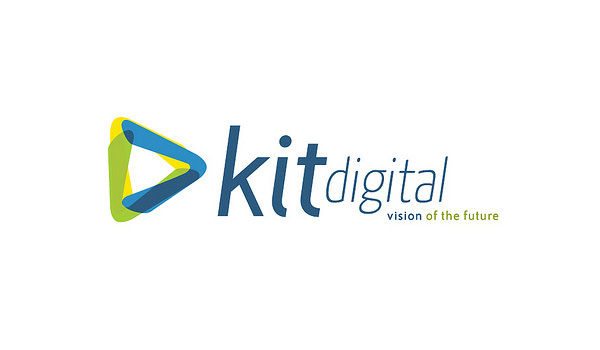 The new brand, KIT digital, represents the company’s operational platform and focus on „Knowledge, Imagination and Technology“ to provide its clients with the strategies and tools necessary to harness the significant potential of Internet video. The company’s new web site is www.kit-digital.com. KIT digital works closely with consumer brands and content owners including Verizon, News Corp., Google, Sensis, RCS and Telstra to develop and implement comprehensive, customized solutions for maximizing and monetizing their online assets. To enhance its service offering, the company recently announced the acquisition and integration of its subsidiary, Sputnik Agency, a leading interactive marketing agency that has worked with clients including Holden (General Motors), BP and Saab Australia. Last month, the company entered into a content distribution agreement with Kamera Content, a company that enables corporate clients such as Vodafone, MSN, Orange, Telefonica and China Mobile to deliver IPTV to their customers via both mobile and online networks. At the same time, KIT digital (then ROO Group) entered into a letter of intent to purchase 100% of the capital stock of Kamera, a transaction that adds full mobile distribution capabilities to KIT digital’s online video service offering.